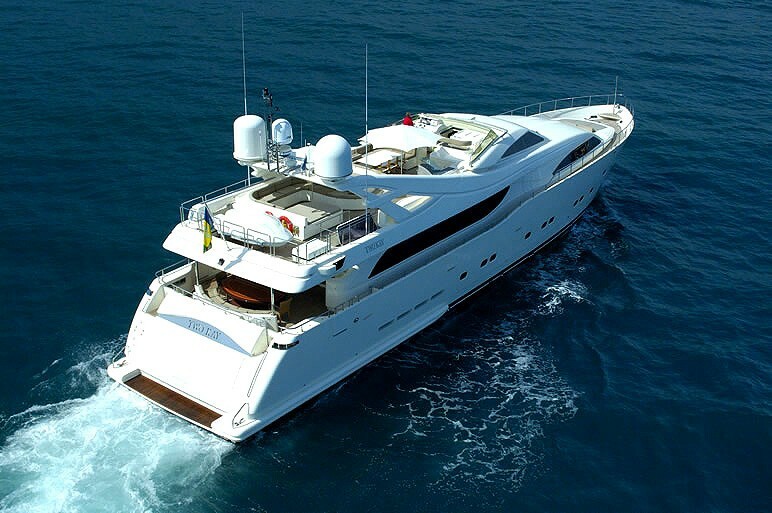 TWO-KAY (ex: Bo Veerle, Rasha) is the first Custom Line 112 flagship yacht by Ferretti, launched in 2001, with a refit in 2016, she measures 34m (112ft) and can accommodate up to 10 guests in 5 cabins. 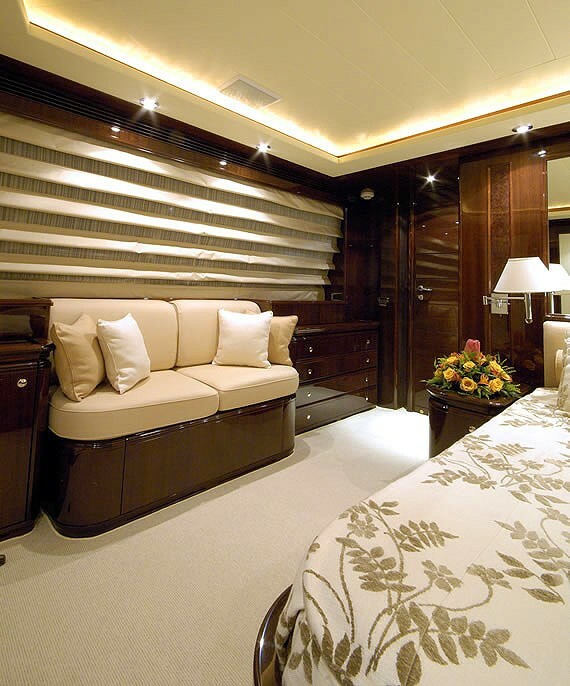 Built to the highest standards by the Zuccon International Project workshop, with great attention to external and internal design, the latter in collaboration with the CRN engineering division of which Custom Line is part, TWO-KAY offers a modern interior with clean lines. 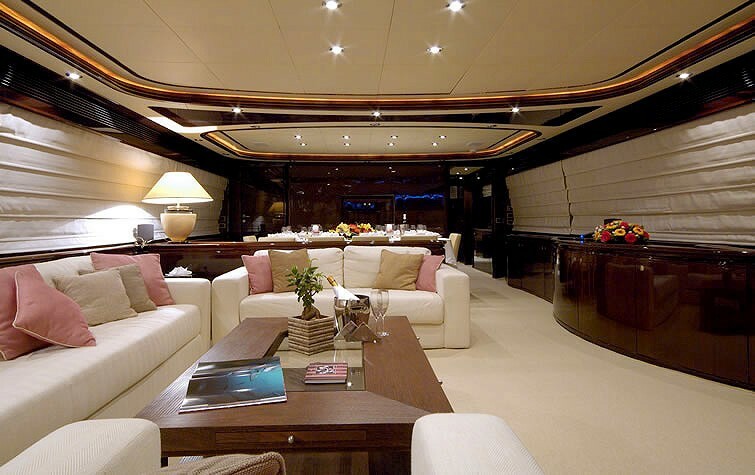 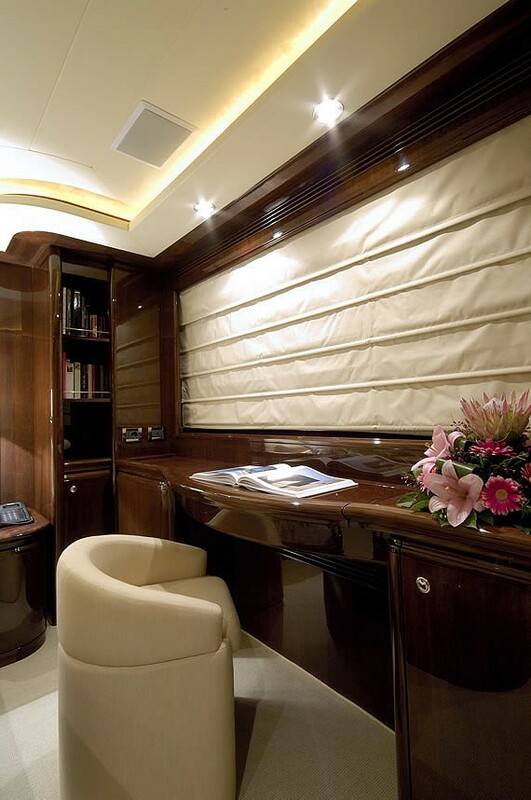 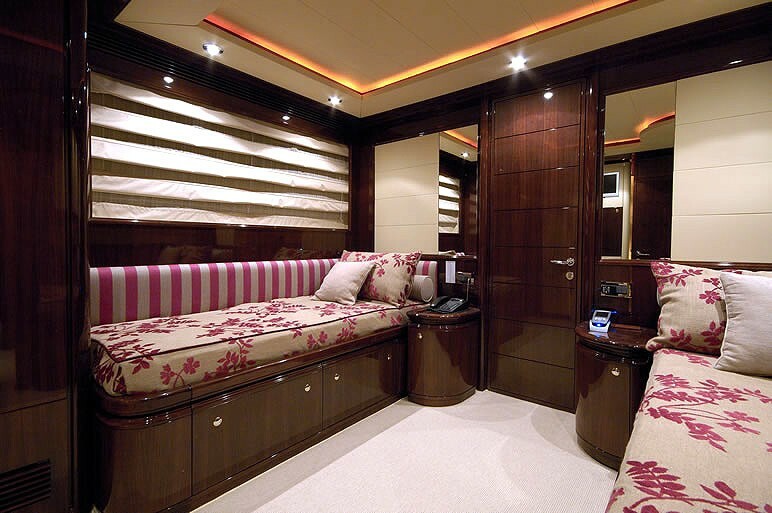 She is a very practical yacht with a good functional layout and neutral pleasing decor. 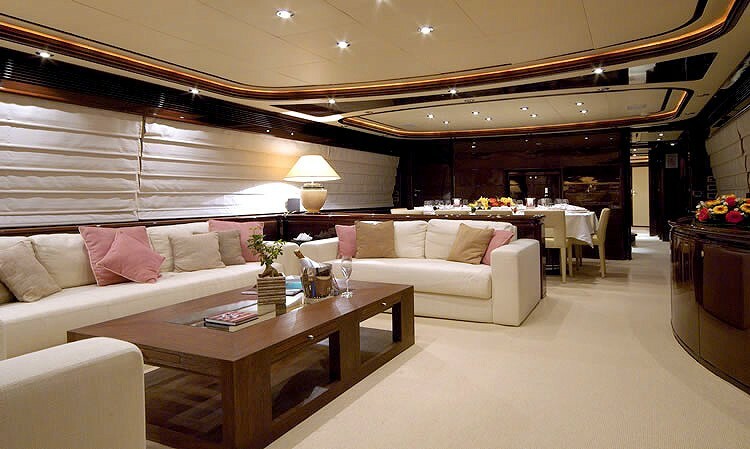 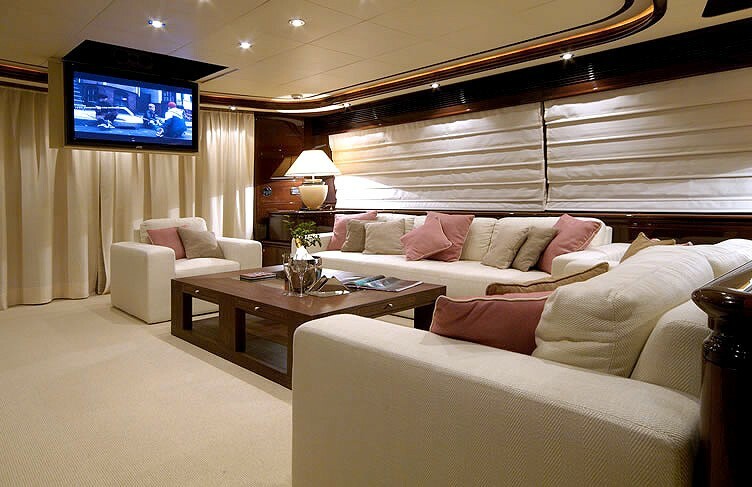 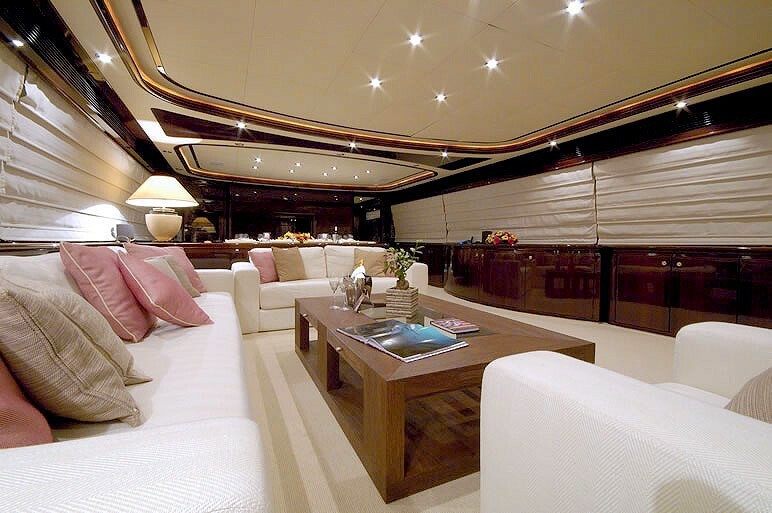 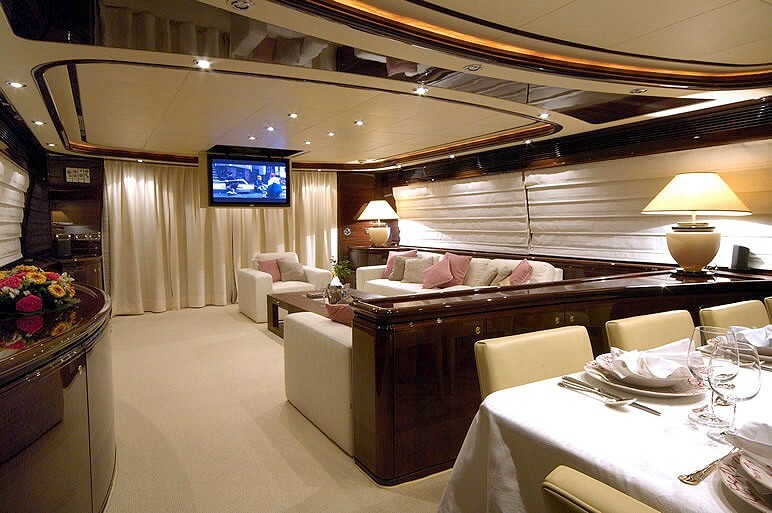 Her salon is comfortable, cozy and offers ample seating space, with three sofas to port side, around a big coffee table. 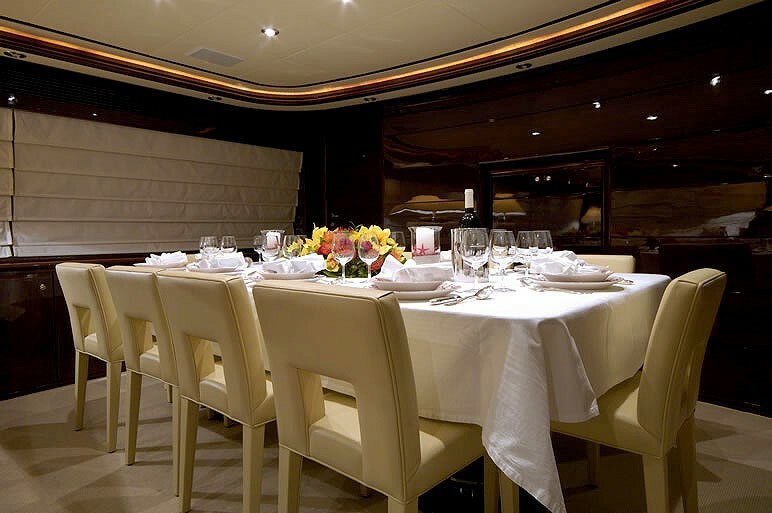 It leads on to the open plan formal dining area, large enough to seat a group of 10/12 people, ideal for indoor meals in the company of family and friends. 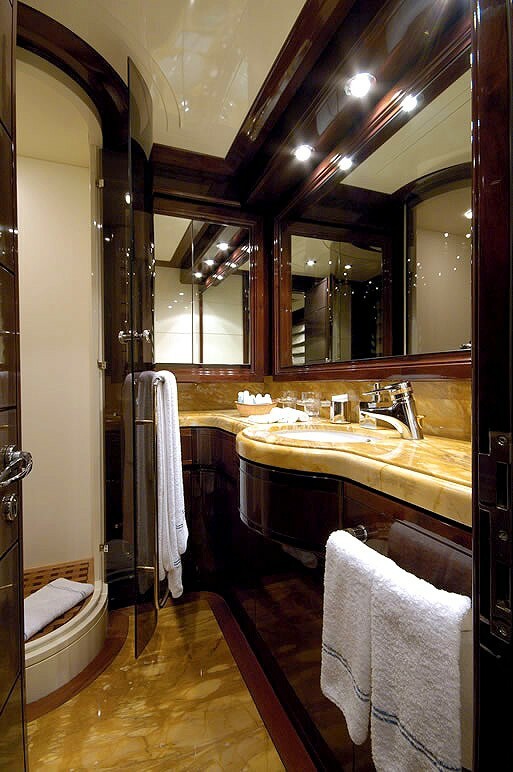 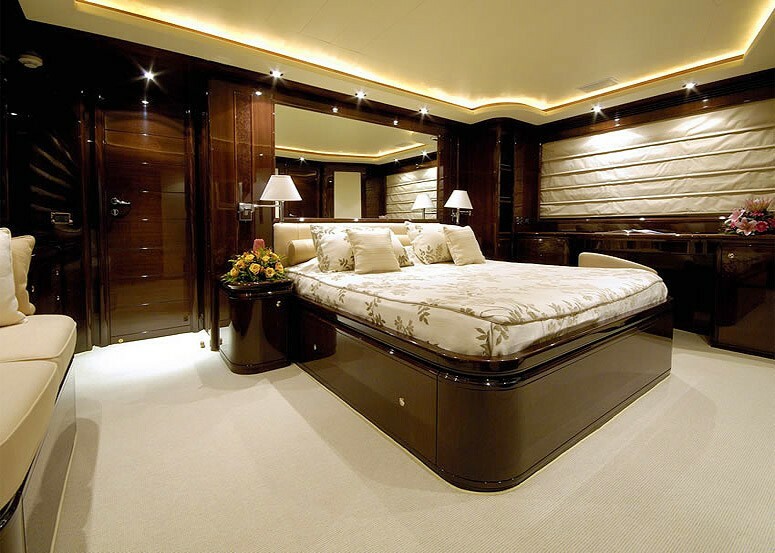 Her full beam master suite is located forward of the main deck, whilst the 4 guest staterooms are located below. 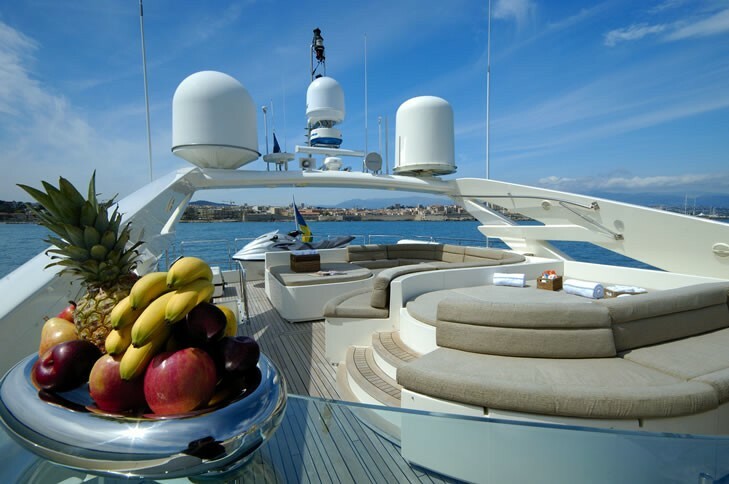 This luxurious motor yacht also offers striking exterior styling with teak decks and an excellent aft deck area where it is possible to enjoy shaded alfresco dining. 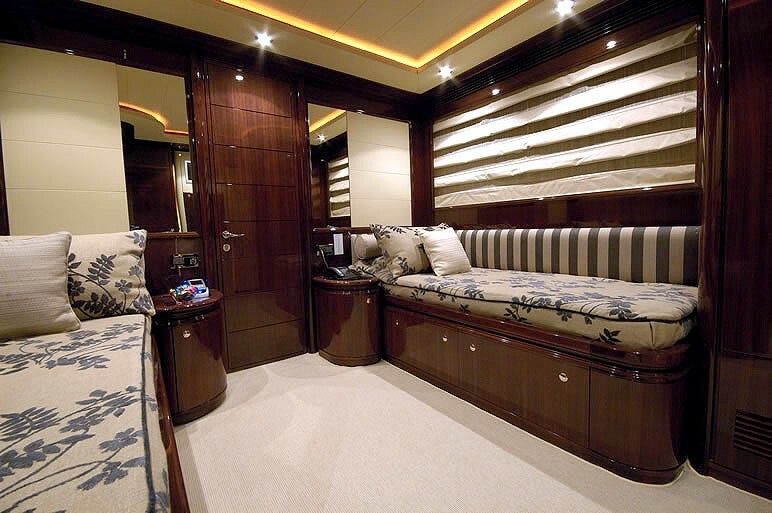 She also boasts a lovely Flybridge with a vast sunbathing area, Jacuzzi, settees and a barbecue, ideal for entertainment out in the sun. 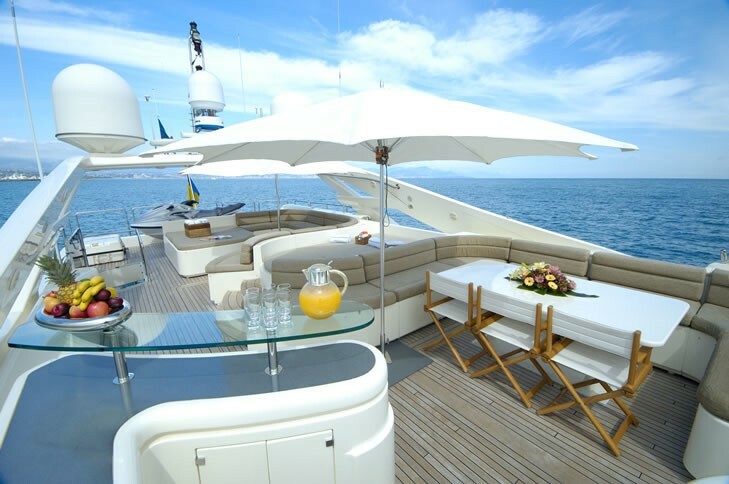 The stern area offers a spacious garage large enough for a 5 metre tender and a jet ski and this charter yacht offers all sorts of toys for the pleasure of the water lovers. 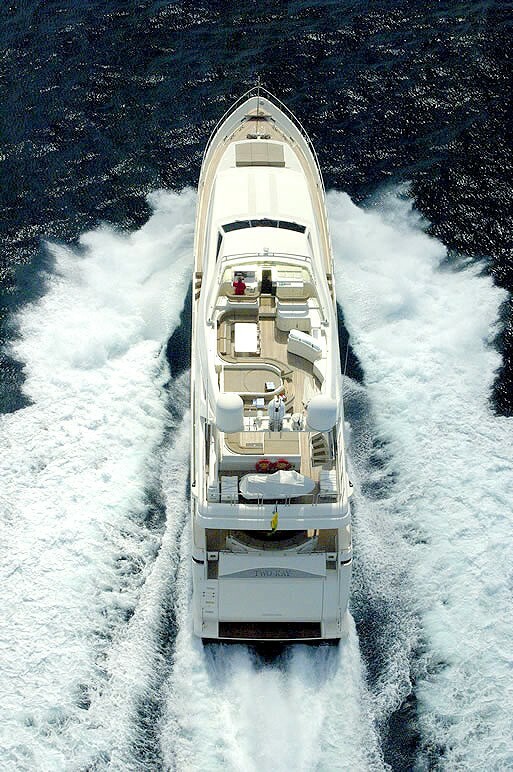 TWO-KAY has 2 x MTU 12V4000, V12 diesel engines rated 2040 kw @ 2.100 rpm each with ZF direct drive gearbox. 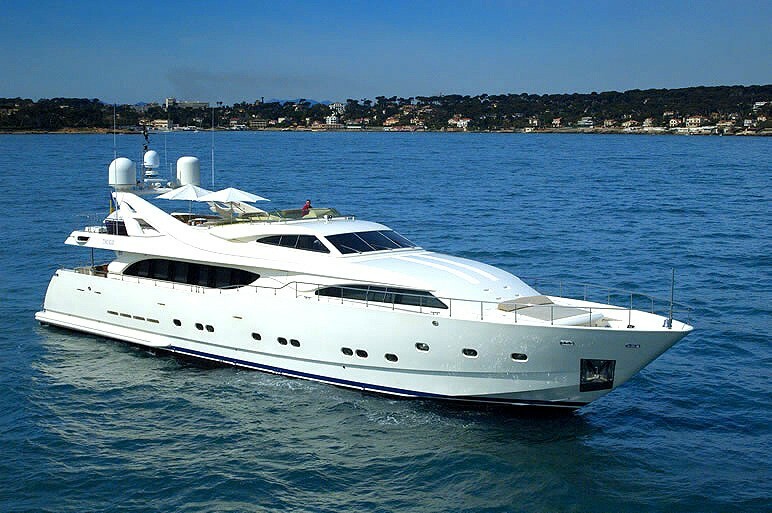 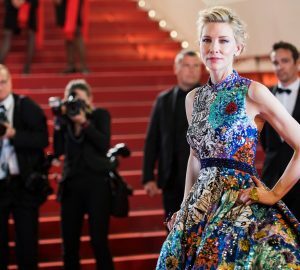 She cruises at speeds of 23 knots with top speeds of 27 knots. 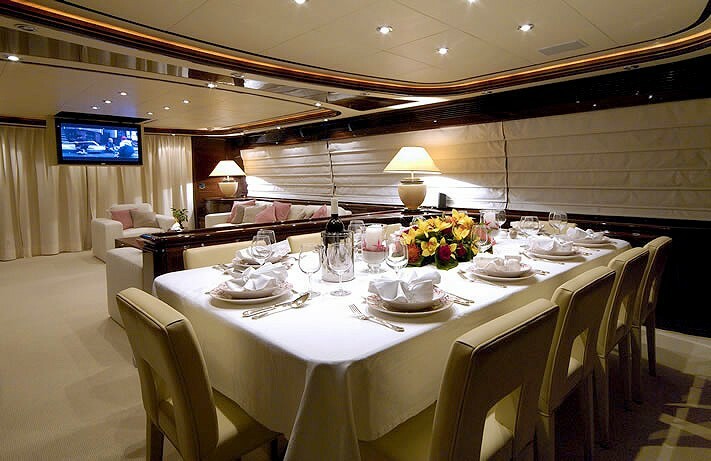 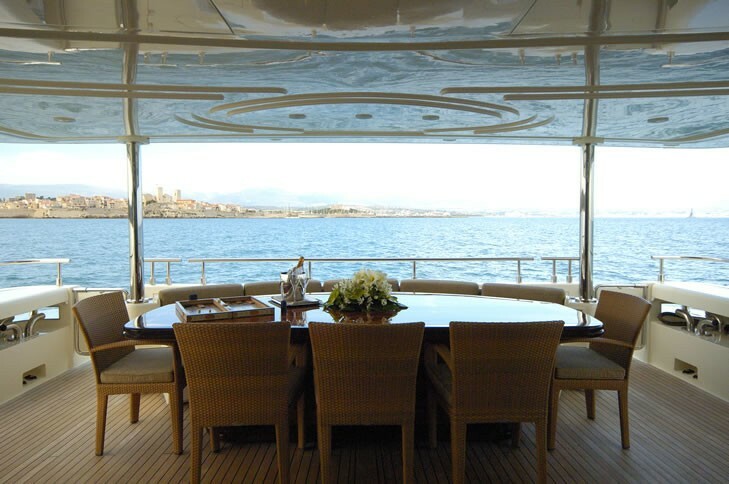 Accommodation is provided for up to 10 charter guests in 5 well-appointed cabins. 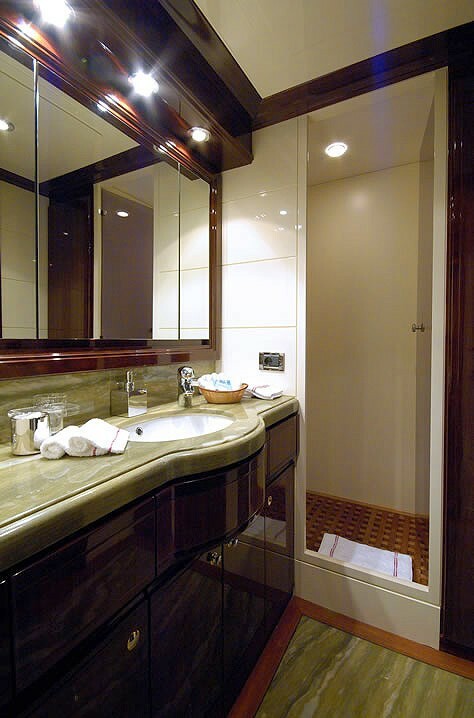 All of which offer their own full bathrooms, TV, Hi-Fi, Sky satellite and A/C. 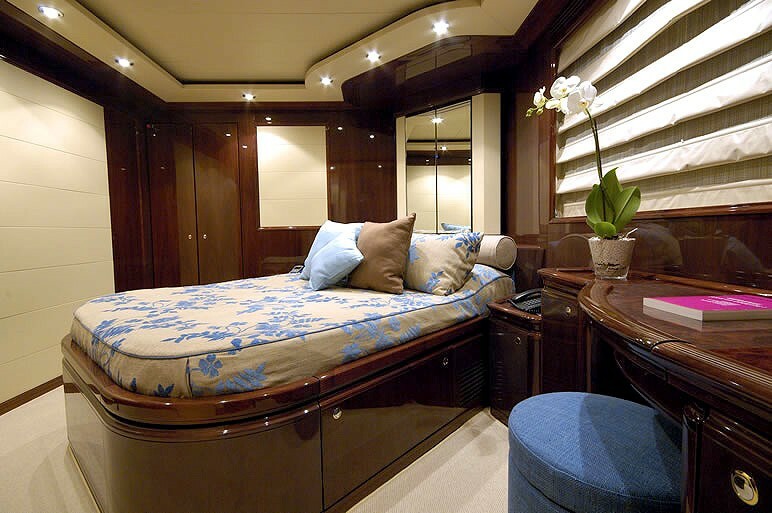 The full-beam master suite, located forward of the main deck, boasts a king size bed as well as a desk, a sofa, a safe and a closet. 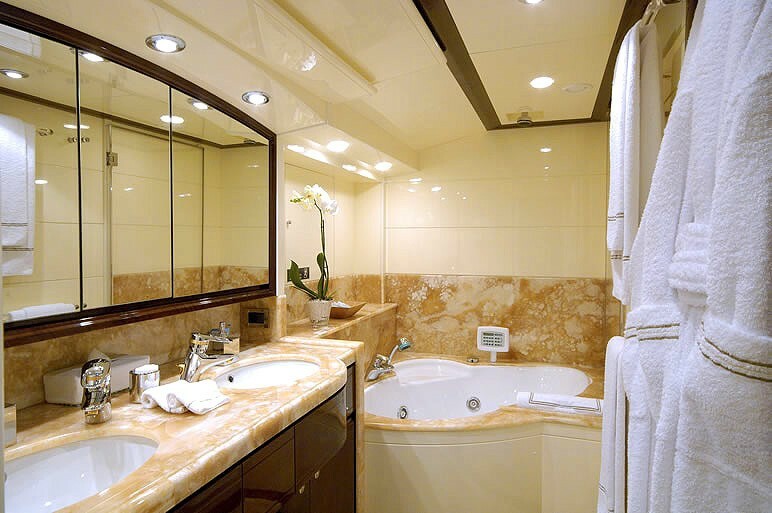 Its’ full bathroom comprises a Jacuzzi too. 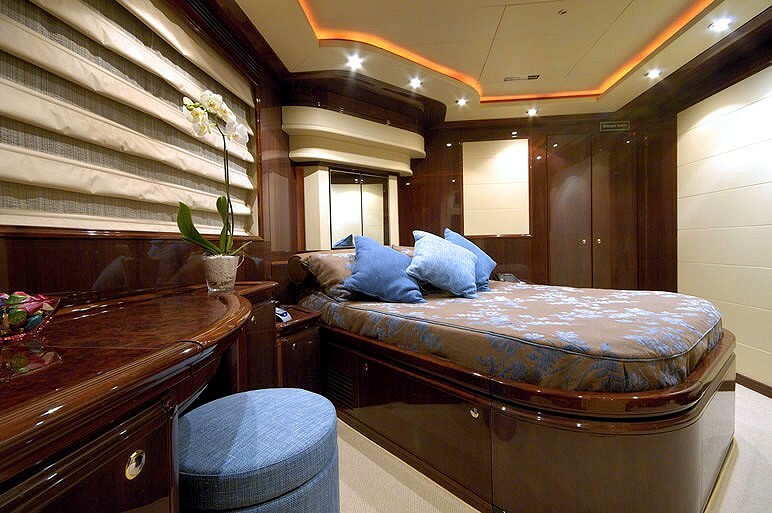 The 2 spacious VIP suites each have a Queen size bed, with a desk, cabinets and a safe, whilst the 2 twin cabins are also of considerable size, with plenty of storage space and have 2 single beds each. 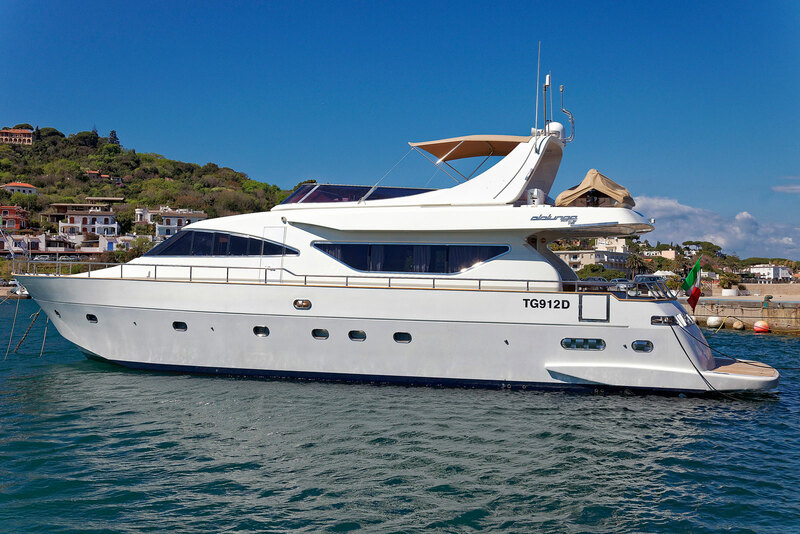 TWO KAY has the following Tenders & Toys: YAMAHA XLT 1200 WAVERUNNER 2 SEATS Tender Williams TurboJet 445 with 110 hp inboard engine (New 2011) water skis ring Floating island snorkelling equipment 2 kayaks 2 paddle boards.